If you ever have to get up in the middle of the night, you know how much of a pain it can be. Turning on a light isn’t really an option, as you don’t want to wake anyone else up. And not only can fumbling around in the dark be noisy, it can be dangerous, for you run the risk of stubbing a toe, tripping over a stray toy or worse. 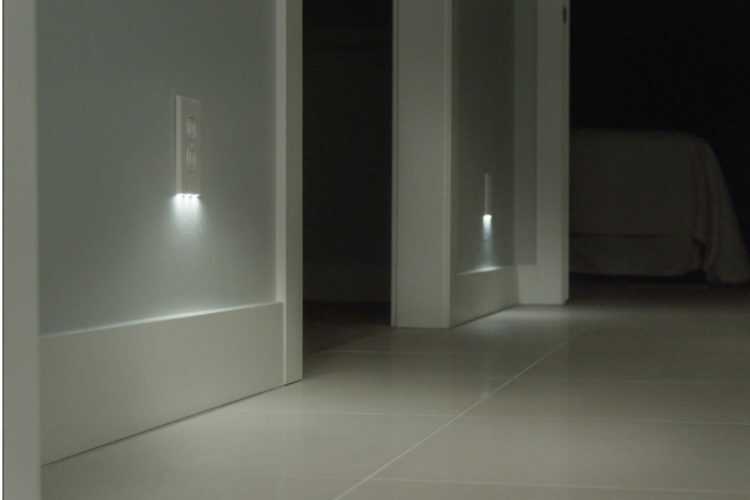 I recently discovered this new(er) product for those who need night lights around their home. 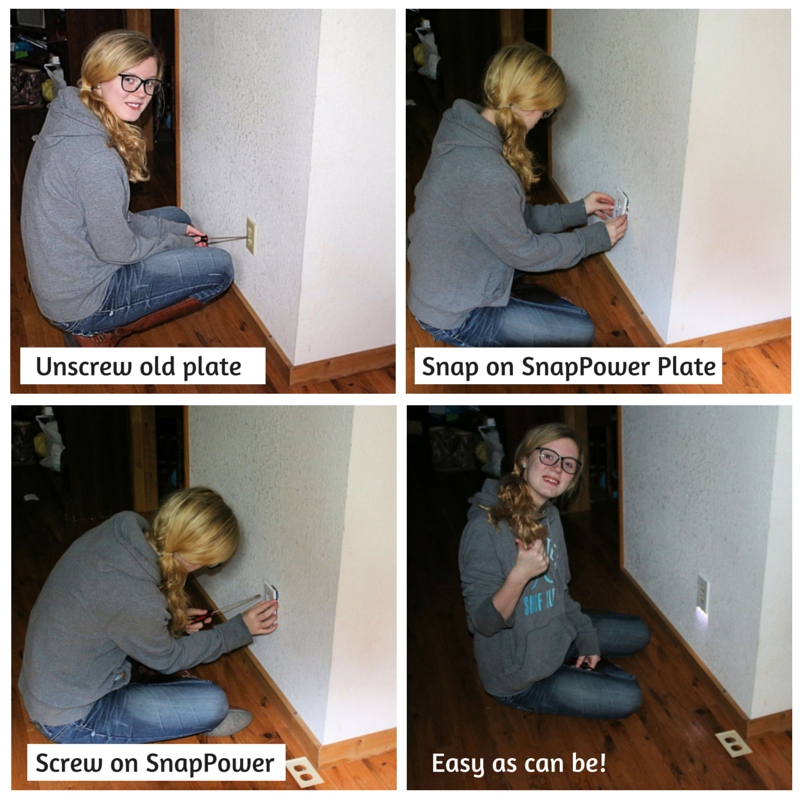 They’re called SnapPower Guide Lights and they’re really easy to install. Simply remove your current outlet face plate, snap on a SnapPower face plate, then use a screwdriver to attach the face plate as you normally would. See the simple how-to instructions below. 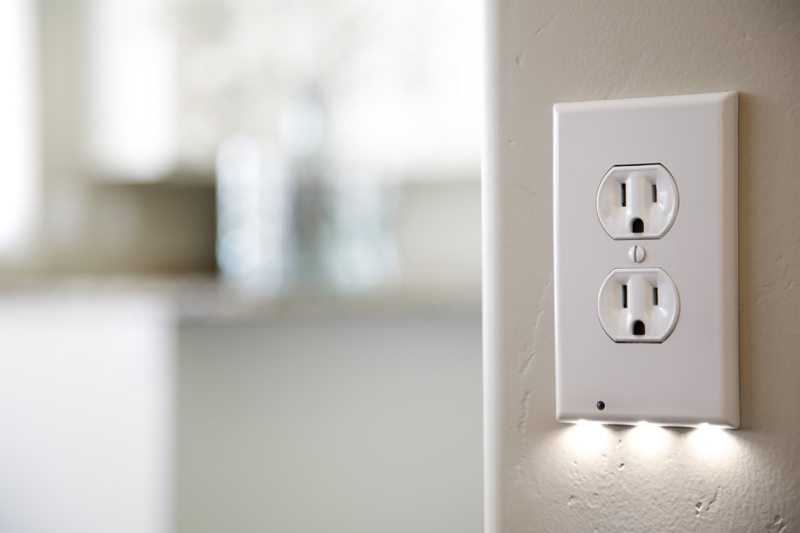 What I like about these lights is they don’t require any special wiring, batteries aren’t needed and it frees up your outlet to be used for something else. 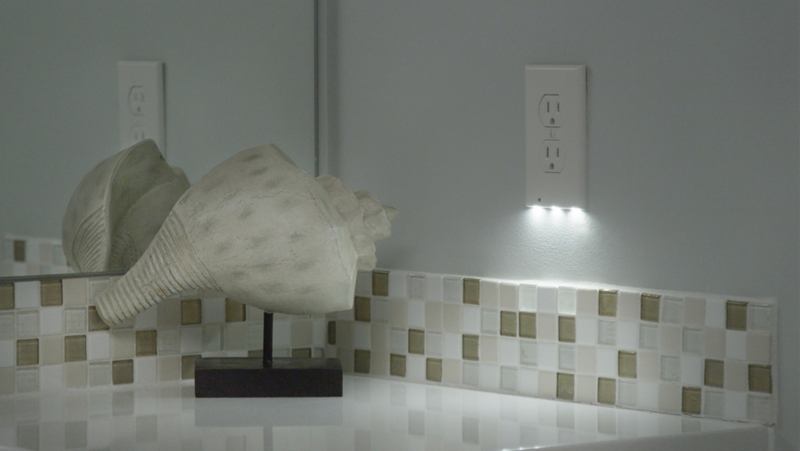 Bonus: no more bumping into a clunky night light when cleaning or moving about. It’s also safer for kids because the little LED bulbs don’t get hot. Lastly, they have a motion sensor so they’ll turn on when you get close and claim to only use about 10 cents of power a year per outlet. They come in two styles and three colors: white, light almond and ivory. I did some searching to see where you can find them. Unfortunately, they don’t appear to be available for purchase through Lowes or Home Depot. You can get them on Amazon for $16.99. ← She Carefully Cut Up An Old Map, What She Did With It… Best DIY Idea Ever!